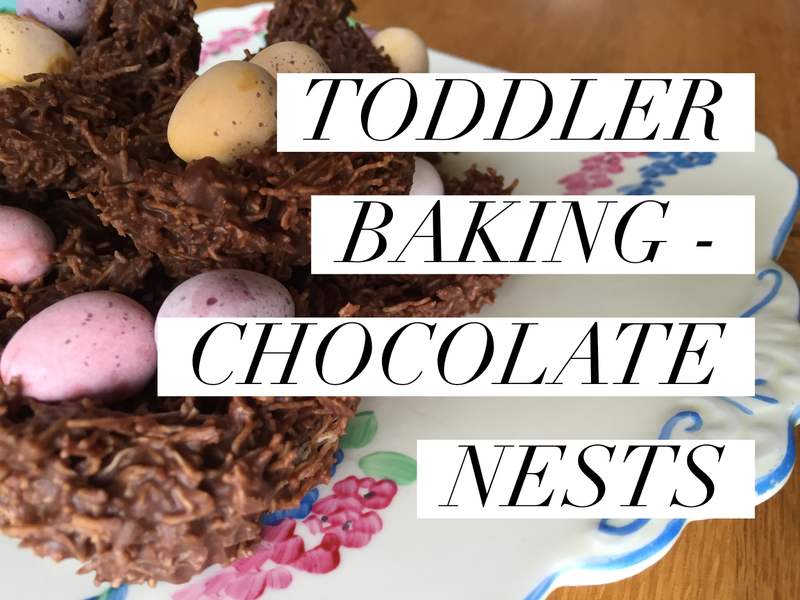 Toddler Baking - Chocolate Nests! 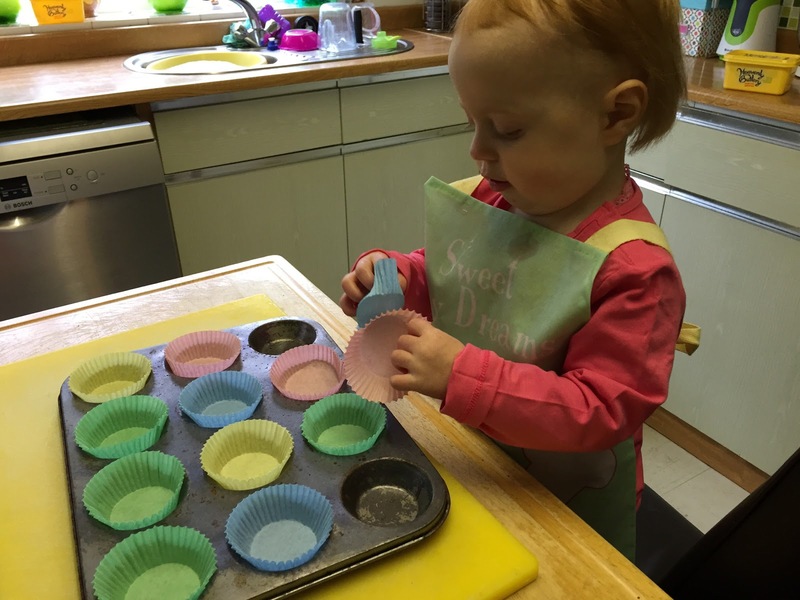 It's Sunday again and that means its Toddler Baking! 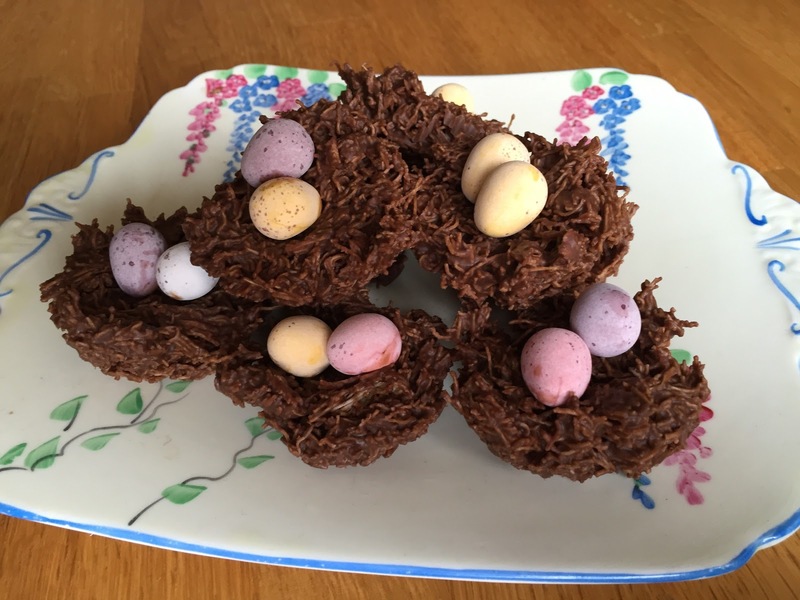 :) This week I wanted to do something Easter related with Mia, so I decided that Easter Chocolate Nests was a good idea. I found this recipe on good to know recipes. 1. Put the cupcake cases into a cupcake tray. Mia loves doing this. 2. 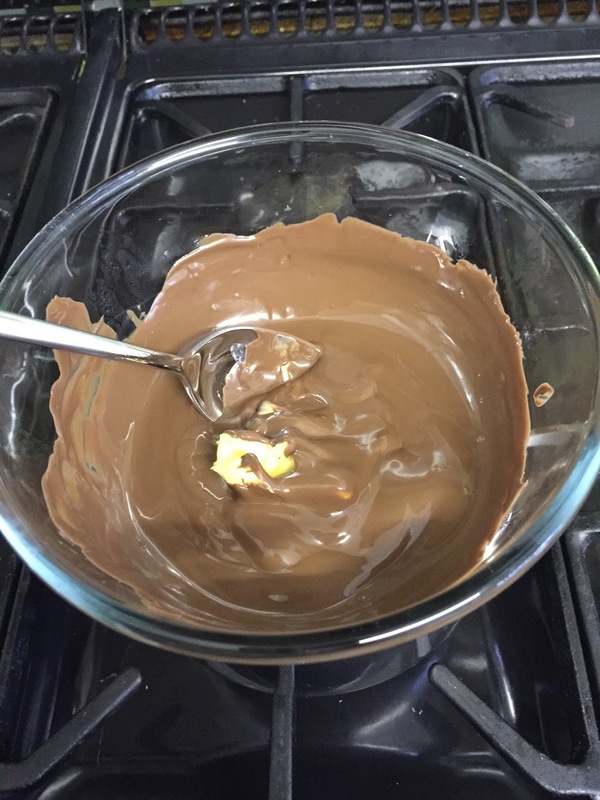 Melt the chocolate, butter and golden syrup in a glass bowl over a saucepan of boiling water. Keep stirring until completely melted and glossy. 3. Smash up the shredded wheat. 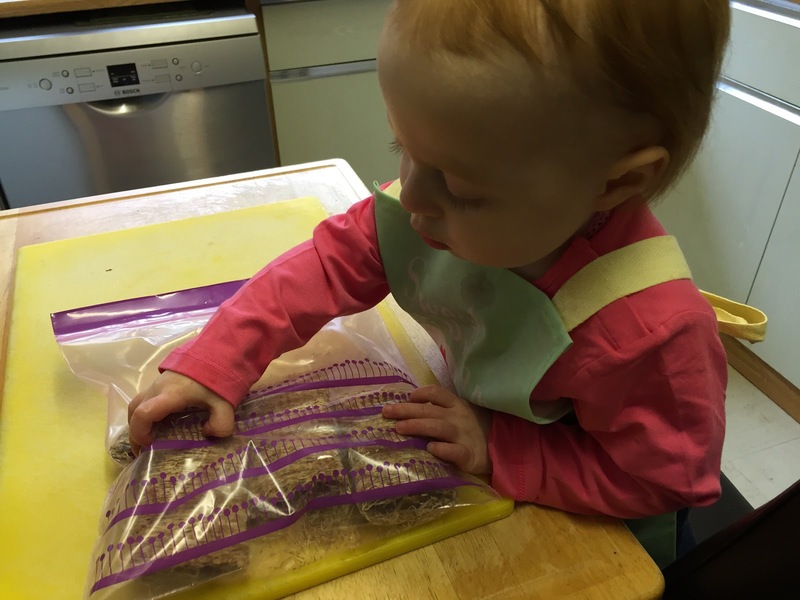 To do this I put it into a sealable bag and gave Mia a spoon to smashed it up, as it made less mess and she had the time of her life. I gave this to Mia to do while I was melting the chocolate, butter and golden syrup. 4. 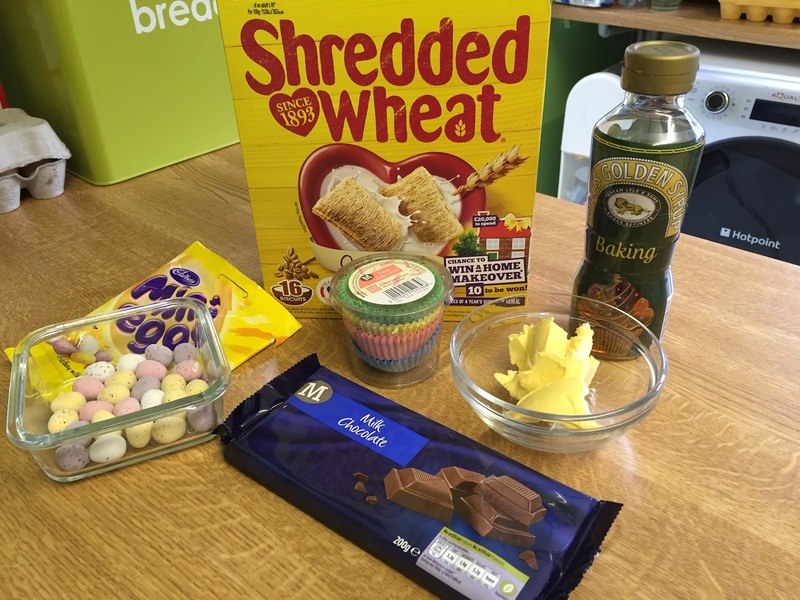 Pour the Shredded wheat into a bowl and then pour the melted chocolate mixture onto it. Keep stirring it until all of the shredded wheat is completely coated in the chocolate. 5. 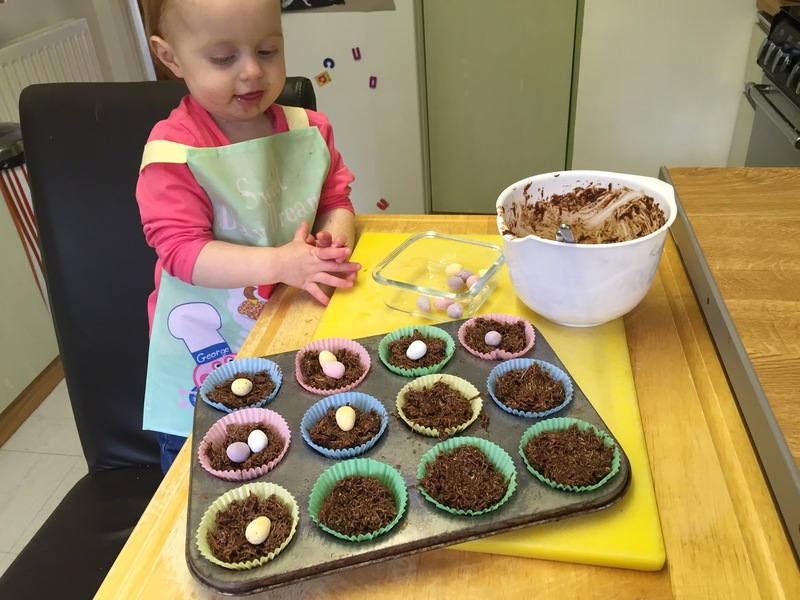 Spoon the mixture into each of the cupcake cases and press down in the centre to make a small indentation for the mini eggs to sit in. I gave Mia a teaspoon to help me with me. 6. Add the mini eggs into the middles. 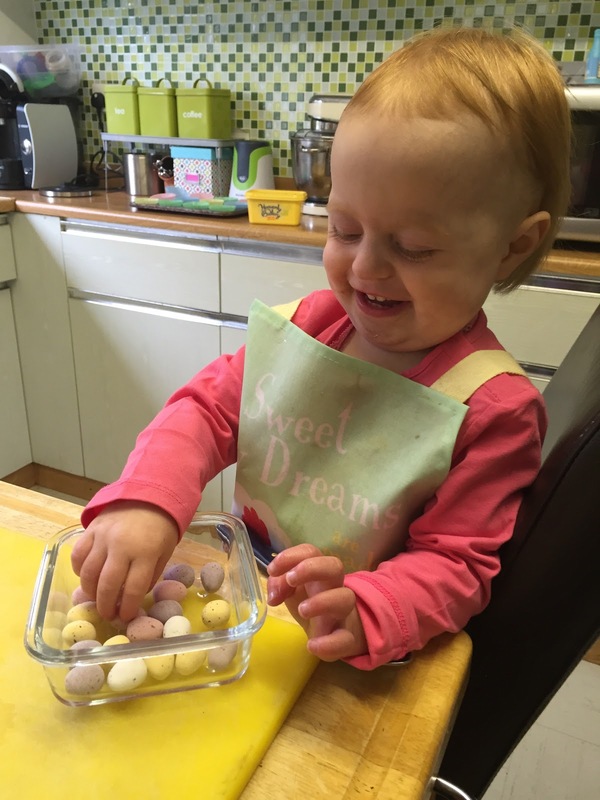 Mia helped me to do this but we almost ran out of mini eggs because she kept eating them rather than putting them into the nests. 7. Allow cooling in a fridge for around 2 hours. What do you think? 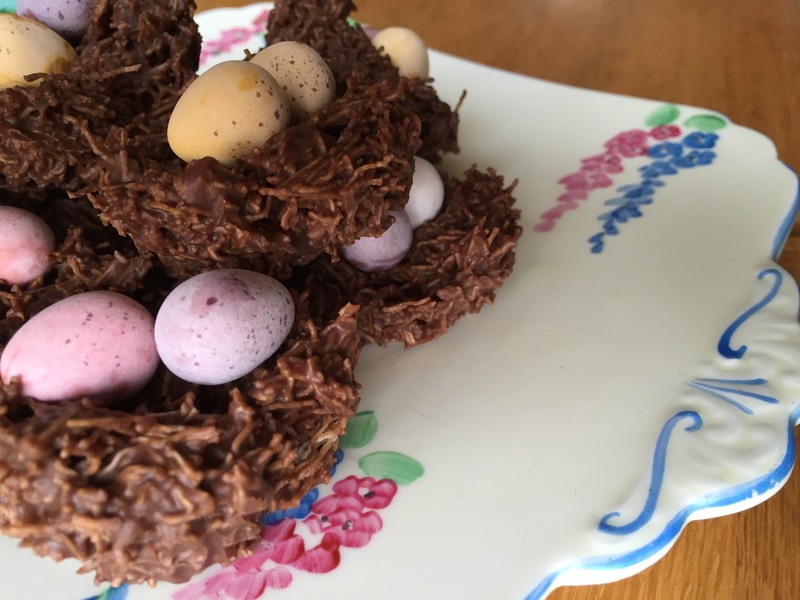 I hope that you love these little Easter treats. 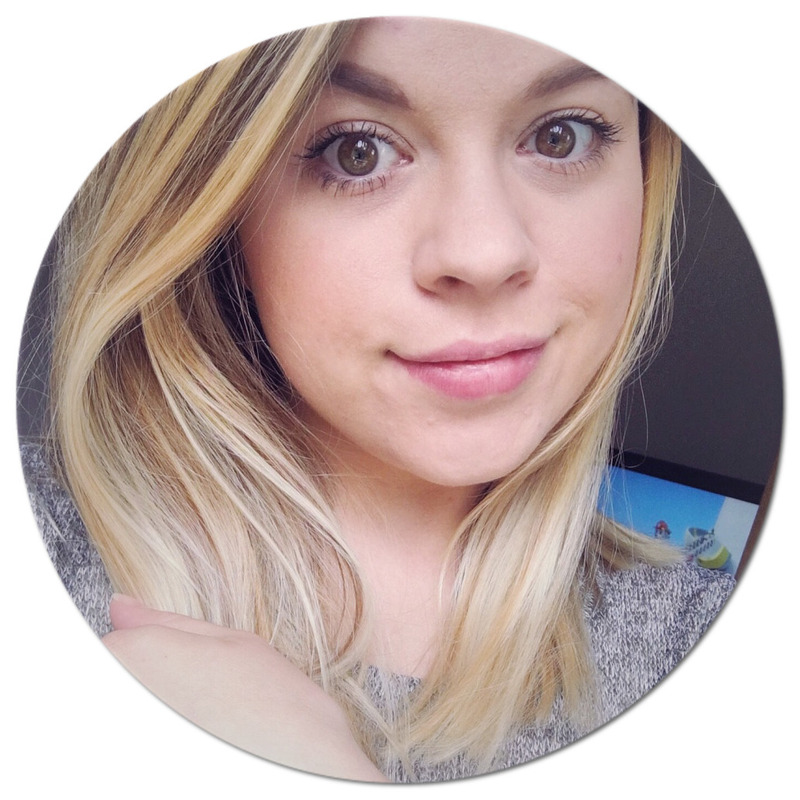 All New, Beauty, Bit's 'n' Blogs!